I have several ripe Black Krims (another fav) and German Red Strawberry toms that are coming along...can't wait to try the GRS.. I'm in a zone 2b in NW Ontario but seeded some tomatoes December 29th. They were under lights in the house until we could put them into the greenhouse. Just picked the first cherry tomatoes on the 18th......can't wait for the rest to ripen. THe full sized yellows are coming along nicely so we have our eye on them! Makes it all worthwhile when you taste that blast of flavour no boughten tomato can match. I am new to the gardening game, but all systems are go from things I have read. "Those who fight monsters must be careful not to become one"
"Today is the tomorrow we worried about yesterday"
Seriously, I am amazed by some of you fellas. I'm in Arizona. Statistically I believe we get more sunshine a year than any other state. Here, I'm considered a bit of a rebel by planting my tomatoes so early. And still, I haven't gotten a ripe tomato yet. But I've yet to pluck a ripe red tomato. Here in central MN my bush Early Girl has a couple flowers that are just opening, and my other unknown apparently bush indeterminate 'Tomato' variety (lesson to me, I won't be buying plants at a home improvement store again! I wanted a regular EG, not the bush variety, and this other plant appears to be some kind of brand new bush hybrid . . . not what I wanted at all! 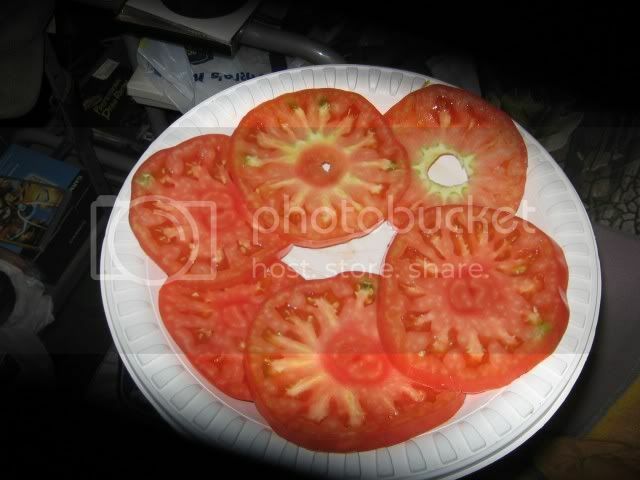 They didn't even give it a name, it comes from Bonnie, and they just called it 'Tomato') is producing flowers that are still green. Three on each plant, so far, even though the plants are but a bare 12" tall. 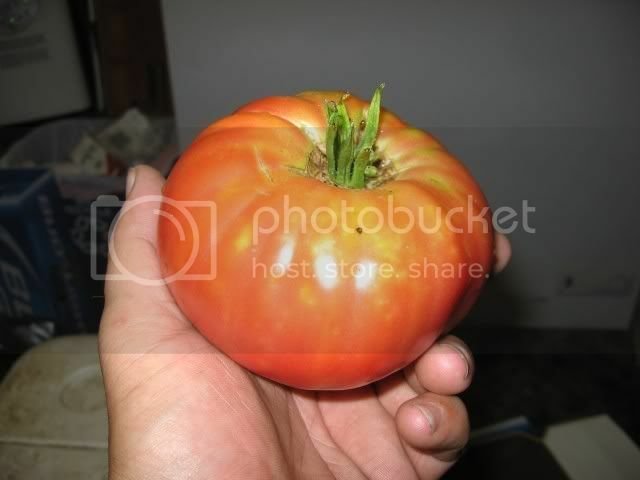 I worry about the size of the future tomatoes, if the tomatoes are in proportion at all, they'll be no bigger than golf balls . . . And if they're typically sized, gravity will mean that my plants will turn into groundcover . . .
Next year, I order plants from a proper nursery! ok, sorry everyone. I am not trying to upset anyone further, but I must have had an influx of bees or my recent pruning did the trick, but I have tomatoes in the front and the back yard as of today...feels nice. Good vibes and good luck to everyone who is waiting like I have been. Charleston, Sc here. I just had my first Old german start to turn. I must have 50 others on various plants just waiting. My Early girl is taunting me with a 4" green one. I have a couple plants standing about 4 ft tall. They're growing like weeds....just started to bud.....hoping to see some mater's very soon.